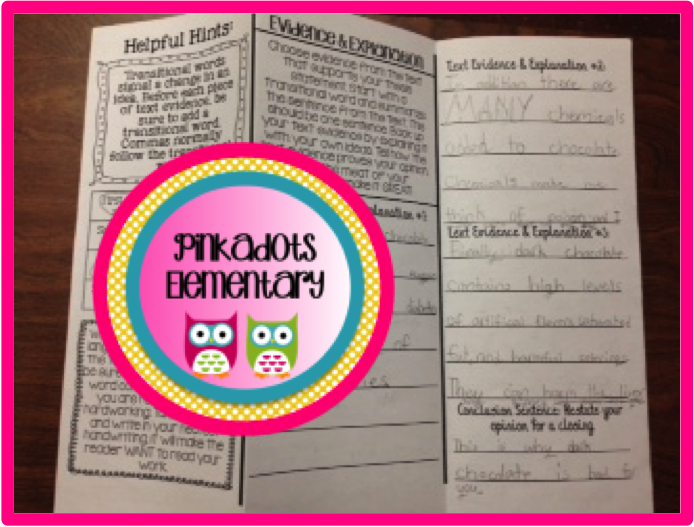 Pinkadots Elementary : Workshop Wednesday: Opinion Writing in My Classroom! Workshop Wednesday: Opinion Writing in My Classroom! 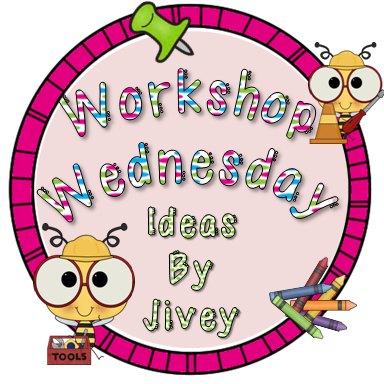 It's hump day, which means it's time to link up with the wonderful, Jivey again for Workshop Wednesday! Today's topic is Opinion Writing! We are currently in our second session of opinion writing after reviewing narrative and informative writing earlier in the year. The way we wrote our curriculum we touch upon all three types of writing twice during the course of the year (six units). This is actually my first year not teaching narrative writing straight through. I knew I needed resources, but didn't know what my students actually knew. One of the best resources I've found is our monthly Scholastic Storyworks Magazine. Does anyone else receive this? I absolutely LOVE it because it is a great mix of fiction, nonfiction, current events, pop culture, readers theater, debates, and polls. What is even better is the online features. You can search current or past magazines, project the magazine on the smart board, print quizzes, worksheets, or watch linked videos directly related to the articles. 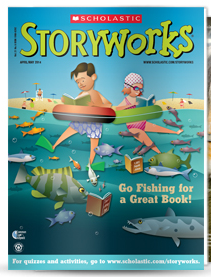 Scholastic got my vote when they linked Storyworks directly to the CCSS. Anyways the first page I turn to when I receive my magazine is the debate. 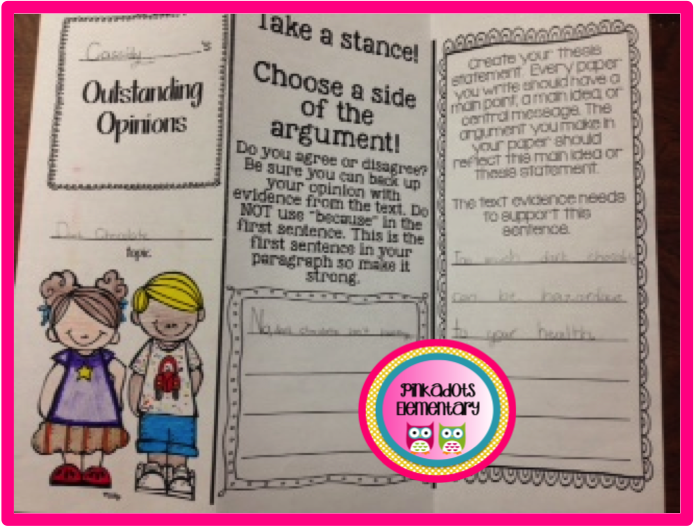 It is set up perfectly so students can read two sides of a situation, take a stance, and use text evidence to back up their opinion. Scholastic even incorporates a graphic organizer for the students to use! So helpful! I knew I needed more articles that gave two opinions so students could take a stance, but I had a hard time finding student friendly pieces to use. 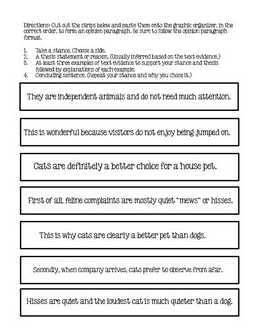 I also needed to scaffold my way of teaching opinion writing because my lower students were still struggling with tone and adding their actual thoughts into the writing. Their writing seemed so fill in the blank and that's exactly what I didn't want. 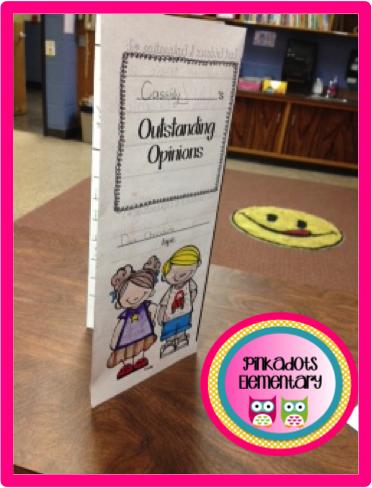 Sooooo, I created this wonderful packet called, Outstanding Opinions. 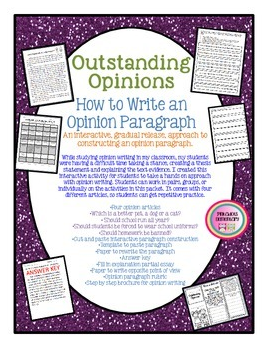 This amazing opinion writing packet includes everything you need to help your students write an opinion paragraph. When teaching students to write their opinion I start by teaching them how to take a stance, create a thesis, and support it with text evidence and explanations. Once students get comfortable with a simple paragraph, they can easily move onto essays. This outstanding packet worked WONDERS for my class. Which is a better pet, a dog or a cat? Should school run all year? Should students be forced to wear school uniforms? One of the activities included in the packet is the cut and paste activity. I actually wrote an opinion paragraph for each article and have the students organize the paragraph before rewriting it. It is a great way for my lower friends to physically move the sentences to support text evidence with their opinion, make sure they have a thesis, etc. I absolutely LOVE the brochure and so do my students. It is fun motivator for the unmotivated writers in the classroom, great product to send home to parents, and perfect graphic organizer for all students. My students improved SO much from using the brochure as a graphic organizer before writing their opinion paragraph. Now that we have been working on opinion writing for a month, I often give the students a prompt to write about for a quick write. Like I mentioned before, we are working on author's tone, so we don't sound so robotic in our writing. This essay actually made me lol when I read it. This is a sweet, shy, little girl and she couldn't have more of an opinion on this topic! I hope my post helps anyone looking for ways to teach opinion writing. The differentiated activities I've included in the packet really helped my class of multi-leveled learners. Opinion writing is now my favorite writing to teach (it used to be narrative)! This is going to be so helpful. I hope I keep it for years! Thanks.